In addition to a professional gym we provide various services in the spa & wellness area: Relaxation zone and saunas – will ensure relaxation and reduce nervous tension. It will regenerate the body and regain vitality. 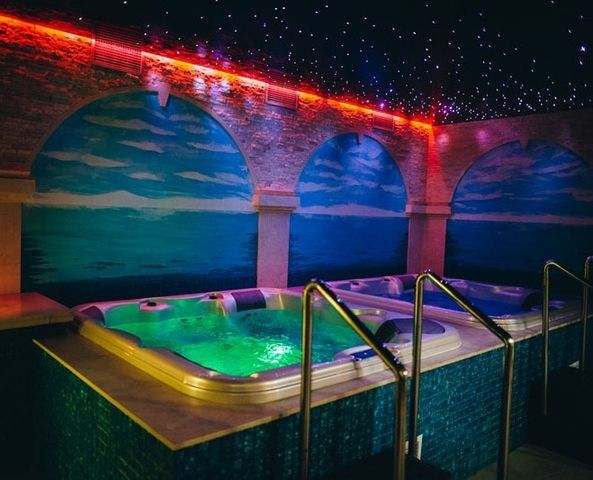 (dry sauna, aroma sauna, whirlpool tubs and a graduation and salt wall that will take you to a place corresponding to sea conditions) It will be a pleasant relaxation combined with healing properties. Sunny Meadow – light therapy – it will combine relaxation with comfortable sunbathing, which is skin-friendly and gives a natural tan effect. Floating capsule – guarantees the deepest relaxation and rest in which, thanks to full isolation from external stimuli, you will move into the mood of the Dead Sea into a state of full relaxation and tranquility. This is an excellent opportunity to reflect and reach personal sources of creativity. Firming SPA capsule with hydromassage and pearl massage, mouth and body moisturizing. Classic and relaxing massages Cosmetic treatments for the body and face Feel free to contact us!